Thanks to Extreme Nerf for the heads up on these. He’s spotted these new darts on the French Toys R Us Website.These are newly deco’d darts that we haven’t seen before. I must say I like the design and colors on them. Especially the colors and designs of the right six darts. It gives them personality. The listing price is 9.99 Euros. No word or sighting yet for USA stores. Below is a translated description for the arts. Darts in stylish colors that adaptnet all Nerf Rebel arms! From NERF: The Ultimate Blaster Book by Nathaniel Marunas, published by POW! The Nerf Ultimate Blaster Book was something that’s caught my eye ever since I heard about it in May of this year. It’s written by Nathaniel Marunas, and published by POW! It’s release date was pushed back from its original October date, to a November release. Thanks to the gracious powerHouse Books, I now have a physical copy to review for you all. Is this book really the Ultimate Blaster book? Is the book worth a purchase? Find out those things and more in my review. 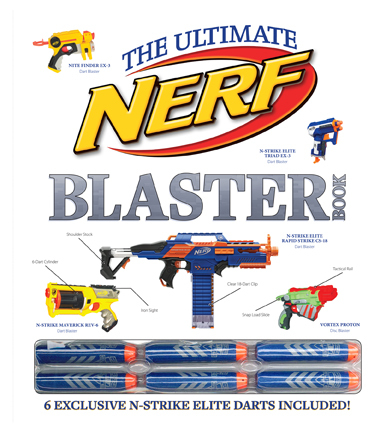 Basic NerfNathaniel MarunasNerf Ultimate Blaster BookPOW! 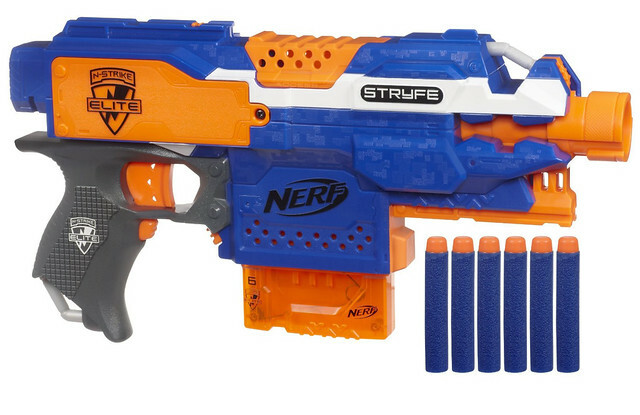 Tis the season for more new Nerf items appearing online! 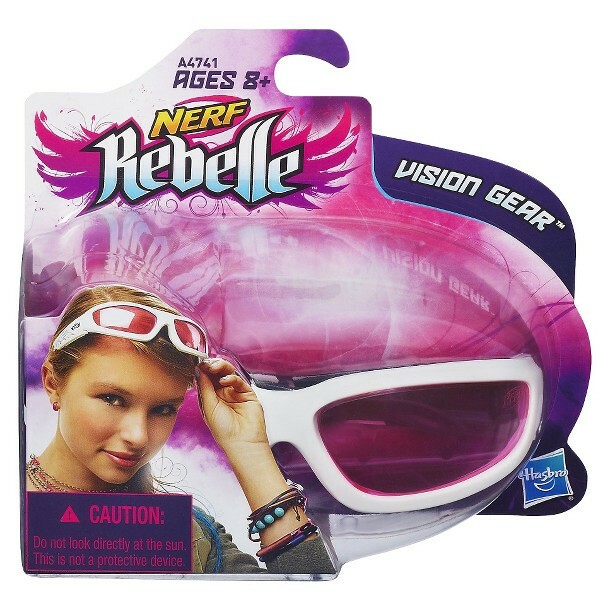 Thanks to Amazon, we’re made aware of a recolor/rebrand of the previous vision gear from the Rebelle line. 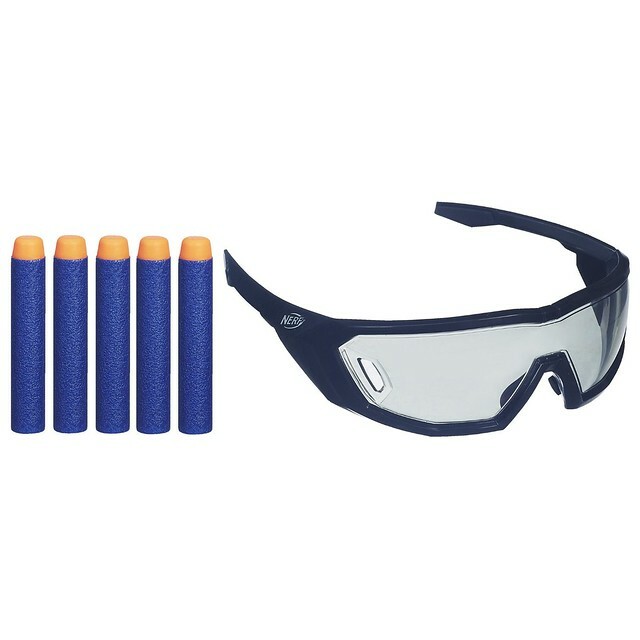 The N-Strike Elite Vision Gear comes with 5 Elite Darts as well. As you can see from the below image of the Rebelle Vision Gear, they look very similar to each other. The Amazon listing isn’t in stock, and their isn’t any price on it yet. Someone is selling this for $14.99 on ebay already though. The Rebelle Vision gear suggested price was $6.99, so I expect these to be a wee bit more expensive due to 5 darts coming with them. If your interested in the box art or production description, they can be found below. 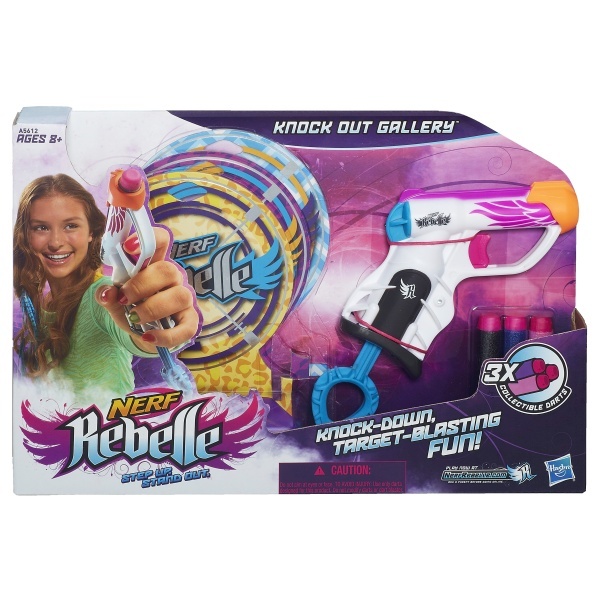 Thanks to a reader known as Big Poppa Nerf, I’ve been informed of two new Nerf Rebelle products. 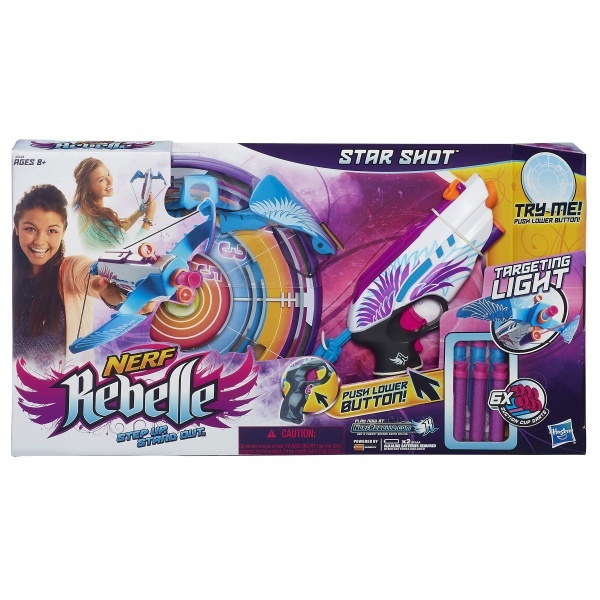 The first one pictured above is the Rebelle Star Shot. And the item pictured below is the Rebelle Knock Out Gallery. These both appeared on a UK site called Smythstoys.com. Check the rest of the post for more discussion and product descriptions on these. The single blaster from the Rebelle Power Pair features a new color scheme/paintjob/deco. 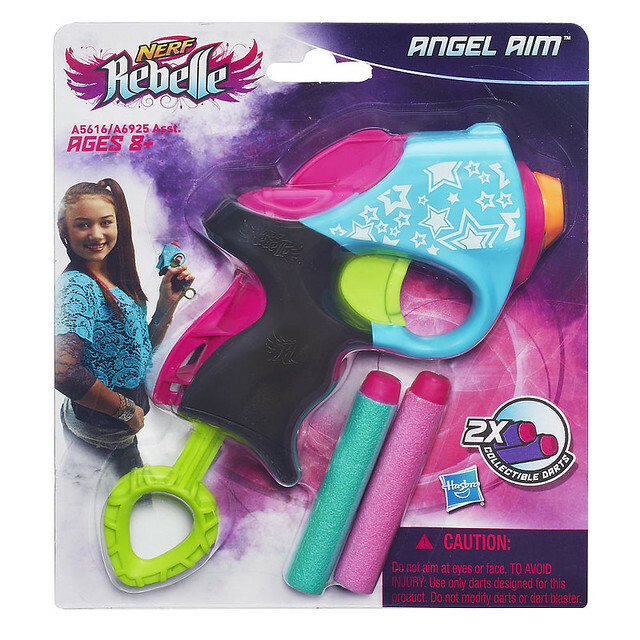 Very recently, a new listing for the Angel Aim appeared on the Toys R Us website. In case you needed a reminder, the Power Pair featured a diffent paint job and came with an additional blaster to complete the pair. 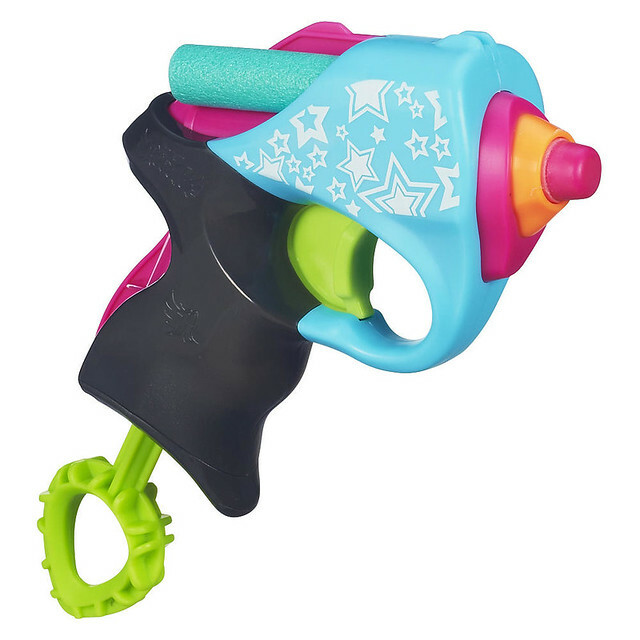 The Toys R Us website listing price for the Angel Aim is $6.99. A bit high when you consider the Power Pair is going for $12.99 on the website. As for it’s new colors, it’s a bit more bright then most of the other Rebelle paintjobs. I liked the purple, pink, and black colors that the Rebelle line had originally featured much more then this new paintjob. 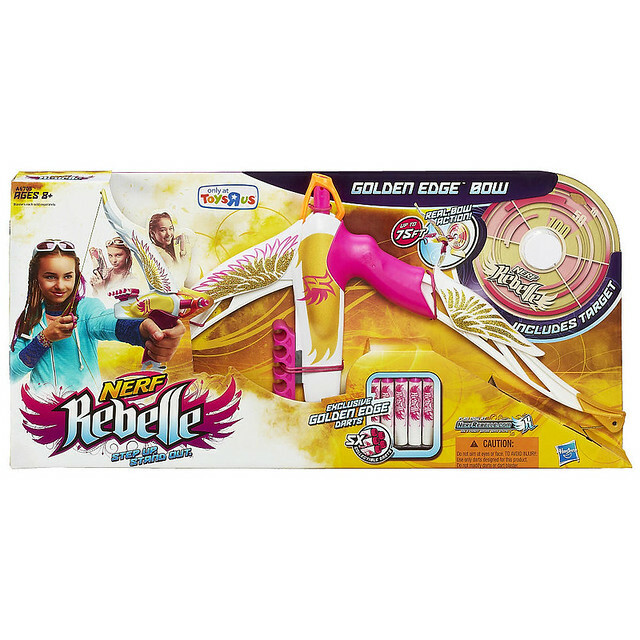 Toys R Us has put up an online listing for an exclusive new Rebelle item, the Golden Edge Bow. It’s a recolor of the Heartbreaker “Phoenix and Vine bows. The online listing also claims that it comes with 5 unique Golden Edge darts. My initial thought is that this item is pretty dang bright on the eyes, but I’m glad that their giving everyone more color options for people to buy. More options is almost always nice. Product description and another image below. 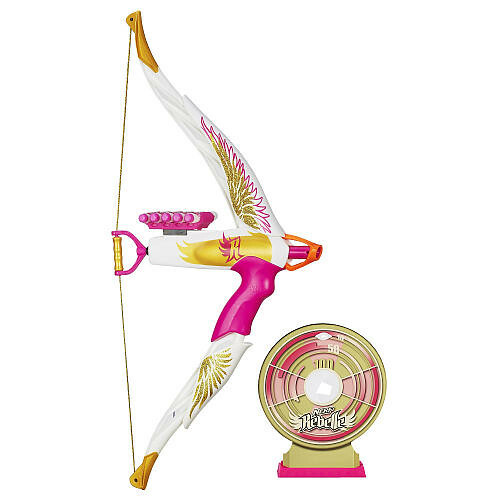 You’re the guardian angel when you take aim with the Nerf Rebelle Golden Edge Bow! Load your rapid-firing crossbow and watch the golden wings on its bow arms flex as it fires darts up to 75 feet. Just pull the string back to flex your angelic wings. When the green indicator shows, release the string to launch your Golden Edge dart at the included target with pose and power! Keep track of your darts in the removable dart storage accessory. You’ll get fast-flying dart action and quick, bold blasting with the Golden Edge bow! Includes Golden Edge bow, 5 Golden Edge darts, dart storage accessory, target and instructions. Original Toys R Us online listing. Thanks to MyLastDart for the heads up.